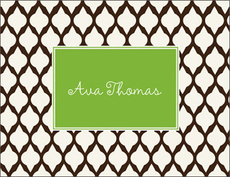 Sample shown using EBLD typestyle. 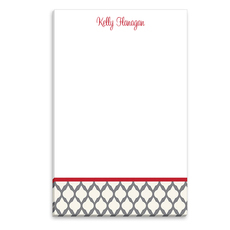 This set of foldover note cards features a grey lattice pattern. Size of notecard is 5.5" x 4.25". Your choice of typestyle to be used. Blank white envelopes included. Printed return address available. Positioning only as shown.